Lovely, Four Bedroom Home with Impressive Two Story Foyer and Wrought Iron Spindles going Upstairs. Guest Suite Down. 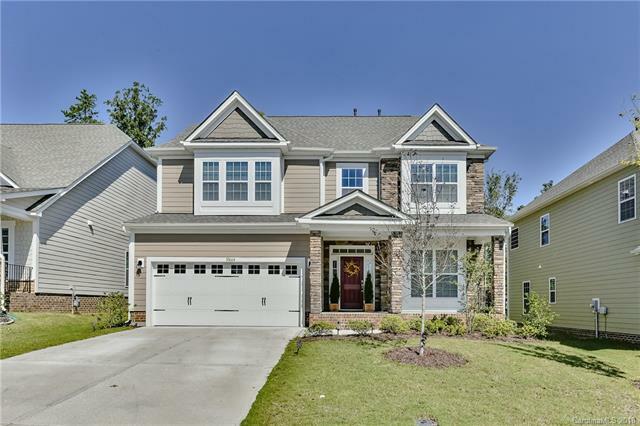 Open Floor Plan with LOTS of Hardwoods, Modern Kitchen with Gas Cooktop, SS Appliances, Granite Countertops and Subway Tile Backsplash plus Exhaust fan vents to outside. Upstairs has 3 additional Bedrooms plus a HUGE Loft area and nice Master Suite with Garden Tub and Shower. LOTS of closet/Storage space. Nice, flat backyard that backs to common space with tree buffer area.